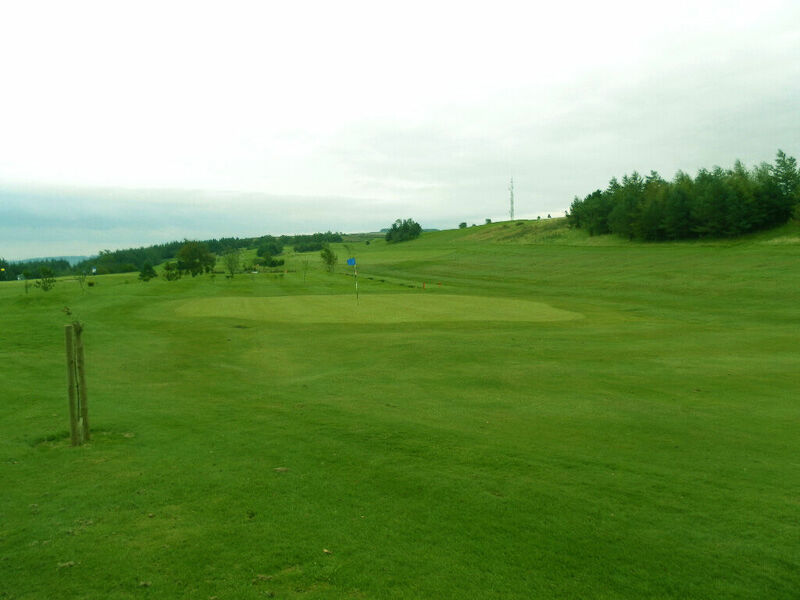 3 :: Longridge Golf Club near Preston, Lancashire golf. 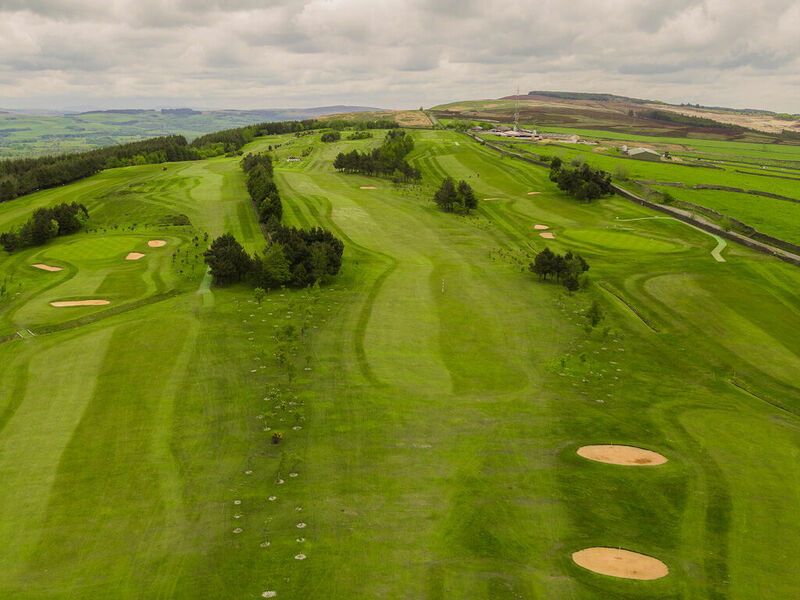 The first of two par fives on the course, trees come into play either side of the fairway when driving and if too far right there is a lateral water hazard to deal with. 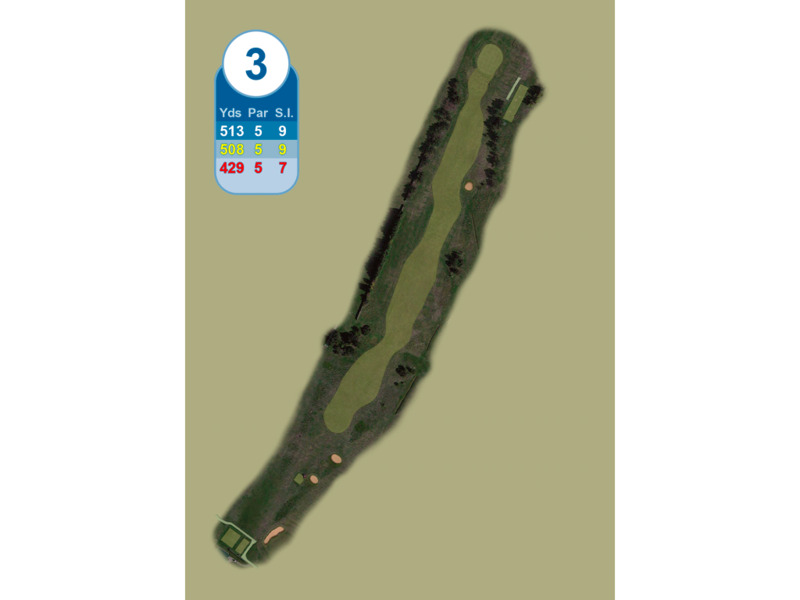 Big hitters can reach this green in two but the safe option is to land the second shot between the two clumps of trees, leaving a short iron approach shot. 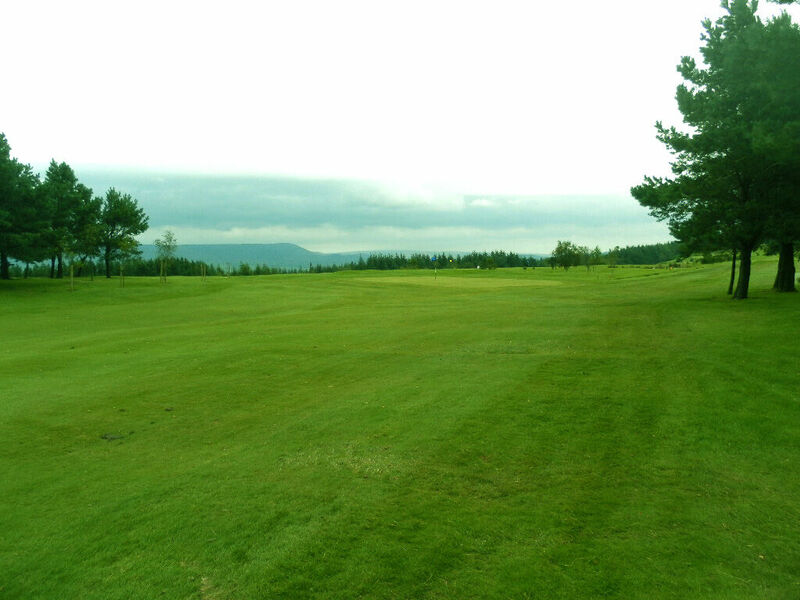 The approach and the green slopes downwards from left to right making the approach shot tricky. Putting on this green is a challenge for visitors but this original green is typical of what all the greens were like on the course.